No matter how great your skin is and all there comes a time when those nasty nasty pimples and acne decides to visit. Yes, after so many months with clear looking skin and they decide to visit...no not those tiny one, they were the type that hides underneath the skin and is painful as hell! I just cannot keep my hands of them, and I just had to try to dig em’ out. I know I should not. Really! Now, I am left with scars which is gonna bother me for quite a while, thankfully scars last about 2-3 months for me but then I am used to just a thin layer of BB creams and concealers on normal days, now I can’t do that because of the damn pimple/acne scars. Well guess I gotta live up to my own actions. An invitation came from a Aesthetic Clinic and I was rather thrilled, since these stupid scars were actually bothering me I was actually hoping that I could get rid of them faster. Laser treatments most definitely. 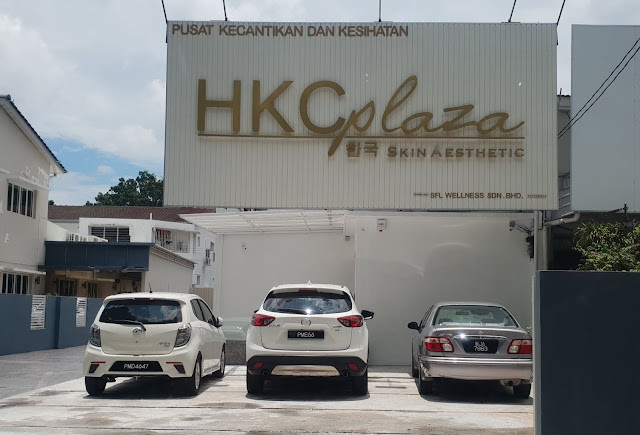 I was invited to HKC or also known as Hankook Korean Skin Aesthetics which recently just opened its first flagship store in Penang! Yes, my beautiful island Penang! Feeling happy because its my turn! 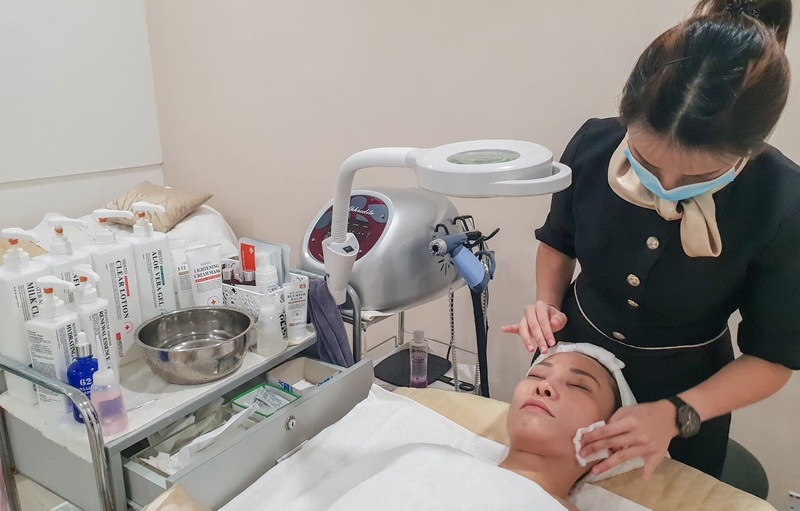 Hankook Korean Skin Aesthetics is a Singaporean entity that manages up to 50 affiliated salons and also its own franchise and license outlets. Hankook Korean Skin Aesthetics has been around for some time and there have more than 10 years of experience especially in manufacturing, trading, and wholesale. HKCPlaza concentrates more on cell and skin regeneration instead of extraction on the surface like many other beauty salons I need it so badly now I visited their outlet with the squad, yes. We like sticking together, for the good and the bad! Lol. #squadgoals We were briefed about the history of HKCPlaza and also types of treatments available here. 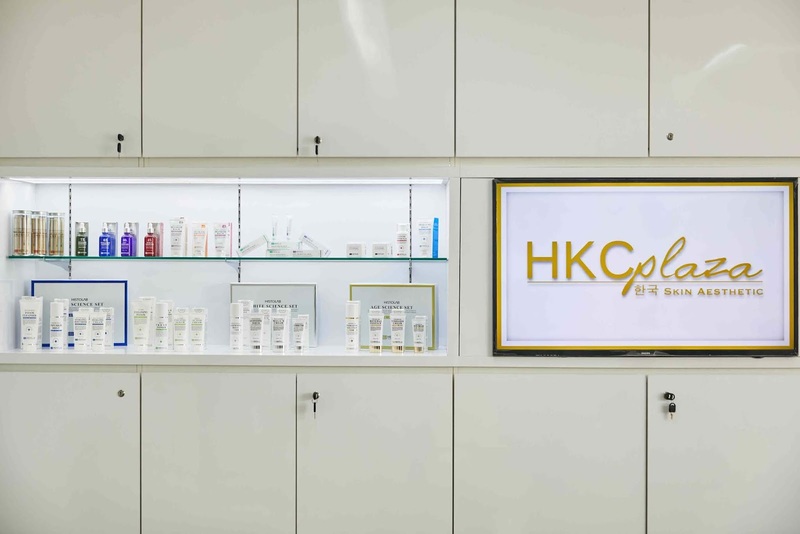 HKCPlaza Skin Aesthetics also carries their own brand which has solely been used in dermatological clinics. 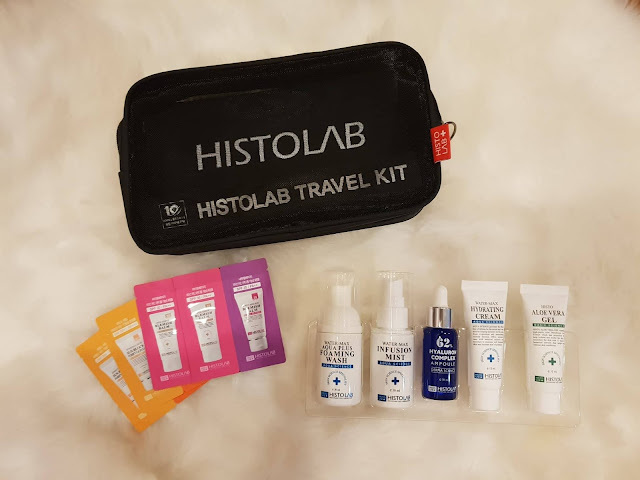 The brand is called Histolab. I will share more about this in another entry. This outlet is a new outlet, so there were a few machines that hasn’t arrived here yet so I guess no laser treatment for me. Lucky us, their signature treatment which is the Guerison Treatment is available. What is Guerison Treatment? Well, Guerison means ‘Healing’ I need it This is the next generation skincare device for healing and recovering of the skin. Yes please Also means as “LOW LEVEL LASER THERAPY”. Low-level Laser (light) therapy (LLLT) is a novel treatment option available for non-thermal and non-ablative skin rejuvenation,which has been shown to be effective for improving skin conditions such as wrinkles and skin laxity. A wide range of different light sources have been used to deliver light for these treatments, particularly to the face. LLLT provides increased rates of wound healing, while also reducing post-operative pain, edema and several types of inflammation, making it a highly desirable modality. 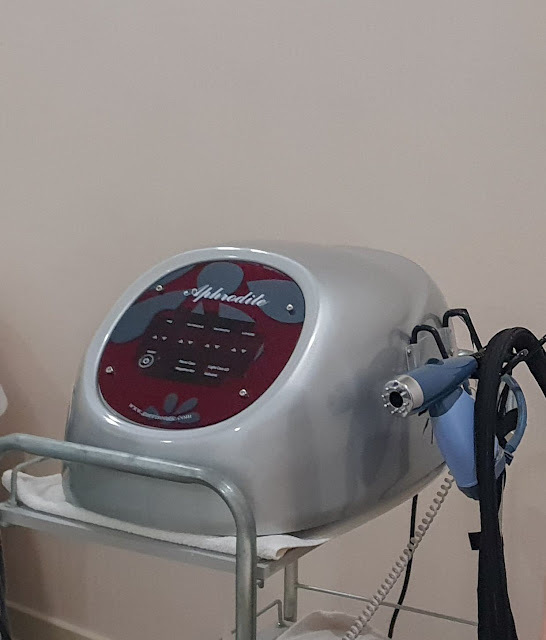 This machine can be used not only on the face but the whole body. It can also help joint pains and inflammation. Such a great machine, so great I wish I owned one. There is totally no downtime or side effect after the treatment and its 100% safe. This treatment starts off with your face being cleansed and removed of make up, dirt and grime following the usual extraction I really should let the professionals do it from now on to avoid future scars and then a machine will be used together with the Double Effect Ampoule which helps to activate cells, improve blood circulation, eliminate body waste and sterilize damage skin. Healing from within. You will be asked to hold the silver rod while the machine is being turned on and the laser applicator is used on your face. There is no pain overall except for certain areas with pimples which I felt a little bit of needle poking feeling or electrical waves. Lol. Pain level rating? 1/10, I believe I have experience worse pain such as childbirth. Lol. The treatment will end with a mask,, just like the usual. I love how the whole treatment took place and how gentle the aesthetician was. Even the facial massage and shoulder massage felt great! Thumbs up! 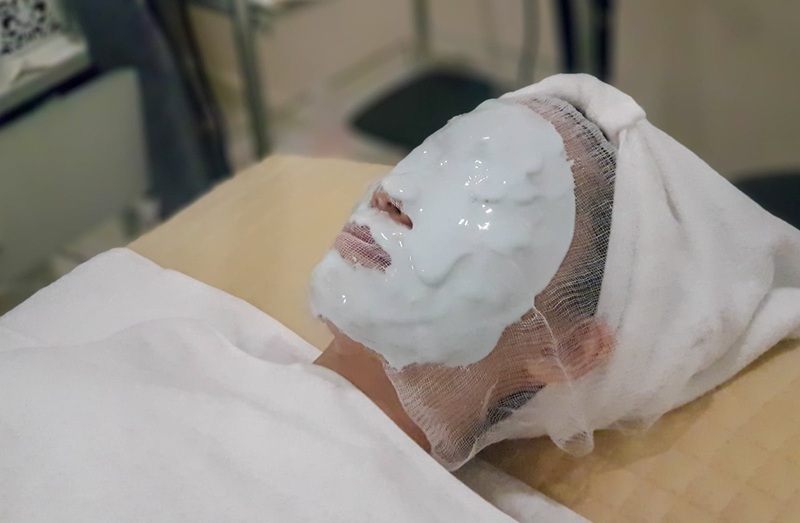 I am amazed with the results immediately after the treatment, actually I was already amazed when Iris finished here treatment as her skin was glowing! Yes! I was so excited to start mine hoping for the same effect as we all know how each individual has different results. I came out satisfied for sure, my skin was much more supple and I could see that part of my face was more lifted compared to the other halfway to the treatment. My dark circles seemed lighter too! The only thing that bothered me was still the ugly pimple/acne scars, nothing happens in 1 treatment ok? But I am confident this treatment is sure to expedite the healing process. In my head, I was already ready to make my 2nd appointment and once every month. A Guerison Treatment a month will definitely keep me looking like I am 28 when I am 40! Lol. On a more serious note, I know that after a few more session I am going to have translucent and flawless skin! Thank You for the Birthday Gift! Since it was my birthday month, the nice people at HKCPlaza presented me with a gift. 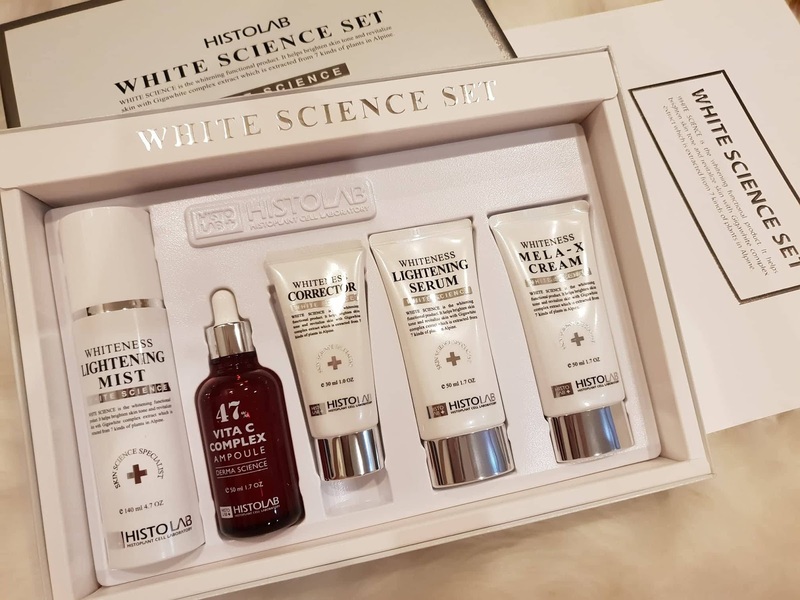 The HISTOLAB WHITE SCIENCE SET. I can’t wait to start and share with you! I will do it in about 2 months, we need time to tell if the products works, don’t we? 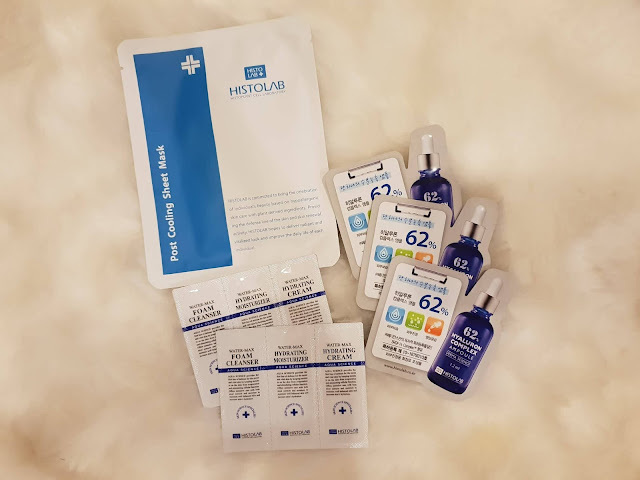 For now, I can tell you that the Guerison Treatment is really worth a try and I can assure you that you are going to love it! Check out their first trial promo at 3x Package at RM288. Follow their social media for more info! Deets below! Always remember, good skincare and skin regimes, more H2o is the key to flawless skin! Check out our video too! Our skin has always been at the mercy of the many forces such as the sun, the harsh weather and bad habits like drinking and smoking, tho some may be heredity. So in short our lifestyle affects the age of our skin, now I regret not listening to my mom when she says ‘sleep early’ ‘ put on your sunblock’ ! Everyday new products are put on the retail shelves, each and every product claims to give us tighter skin, fairer skin, smoother skin, younger skin firmer skin, lifted skin and so on, some work some don't. It all depends. I don't know about you but for me as I age, the more concern I am with the condition of my skin especially when I can see it sagging. Oh no! We are all aware that collagen is one of the most well-known when it comes to the skin. Collagen has the ability to promote glowing, vibrant skin. This essential protein provides elasticity to the skin, helping it to appear more youthful and healthy. But as you get older and collagen production declines, fine lines, loose skin, and dryness can occur.What is the right amount of collagen? Consuming collagen powder, supplements and ‘shots’ sufficient? Personally, I saw that it helps. I have been consuming them for a very long time, but as we continue aging we lose more. What's the best way to maintain enough collagen? Well, anything that your body can produce is enough for your body. Lol. You should know by now I love aesthetics so I searched high and low for a aesthetic procedure that could lift and tighten the skin which also means stimulating the production of collagen since collagen will hold the skin together and I came across a procedure called ‘ultherapy’ which is able to lift and tighten the skin. This is also a non invasive procedure. This treatment also last for a year or more. Let's go into more details. The doctor performing this procedure for me is Dr. Kee from Premier Clinic. Ultherapy is the only non-invasive treatment cleared by the FDA to actually lift skin. Ultherapy is also the only cosmetic procedure to use ultrasound imaging, which allows practitioners to see the layers of tissue targeted during the treatment to ensure the energy is deposited to where it will be most beneficial. There is also no downtime with this procedure. Ultherapy deposits focused ultrasound energy deep beneath the skin at the optimal temperature for collagen regeneration. 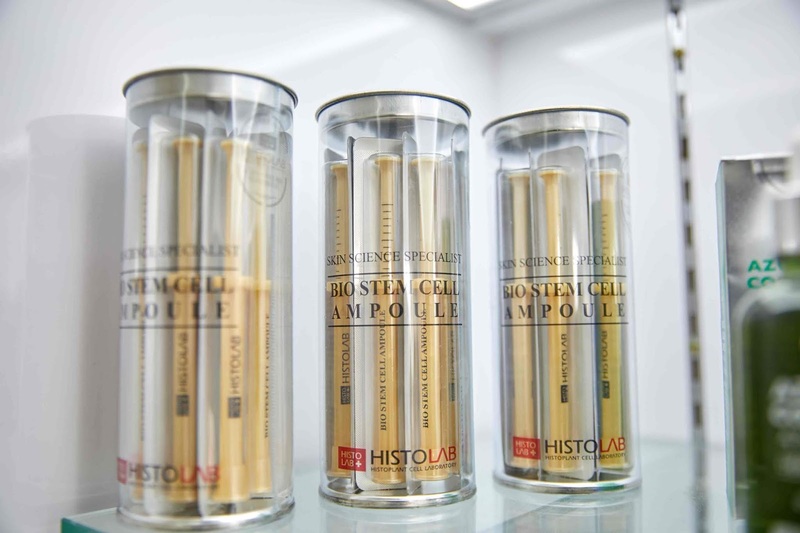 The treatment jumpstarts a natural process, known as neocollagenesis, to produce fresh, new collagen. Ultherapy doesn't involve any creams, fillers or toxins; it just relies on your body's own collagen-building process for natural, noticeable results. That's why i said what the body produces should be enough for the body. Lol. The procedure can be lengthy or short depending on the treated area. My lower face took about 30 mins for full face and neck might take 60-90 mins. Immediately after the procedure, there is some initial effect however the ultimate results can only be seen over 2-3 months. Over this period your body naturally regenerates collagen. This procedure produces new collagen on the inside but your natural aging process will dictate how long that translates into visible results on the outside. So Are you a suitable candidate for Ultherapy? A good Ultherapy candidate has mild to moderate skin laxity where the skin begins to feel and look less firm. Examples include a lowered eyebrow line, loose skin on the neck, sagging under the chin, and lines or wrinkles on the chest. 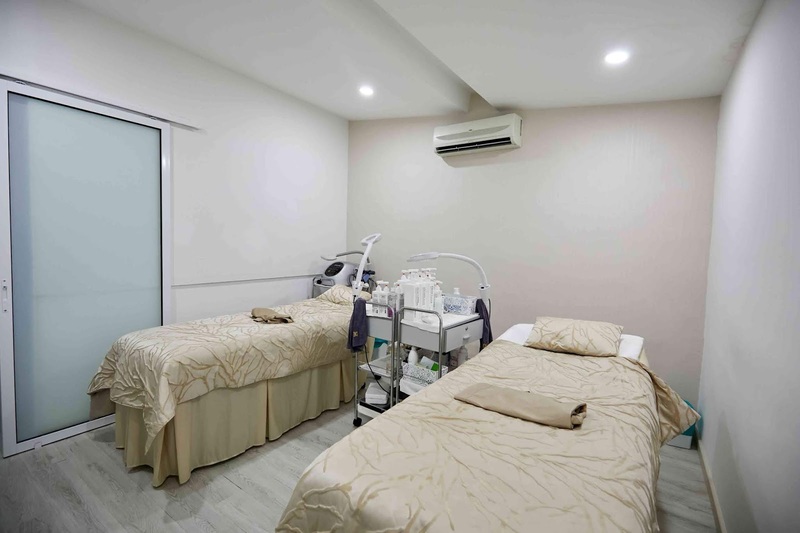 Of course the best way to find out is to make an appointment with Premier Clinic and let the professionals suggest the best aesthetic treatment suited for you. Premier clinic is also having a promotion package for Ultherapy which is really worth it. Check out Their social media to check out the promotion. Check out the video! and the before after photos and be amaze! Full Results photos will be updated in 3 months time!